An encounter between two unnamed strangers is the focus of this quirky tale that looks at how expression and artistic beauty lead to self-discovery. 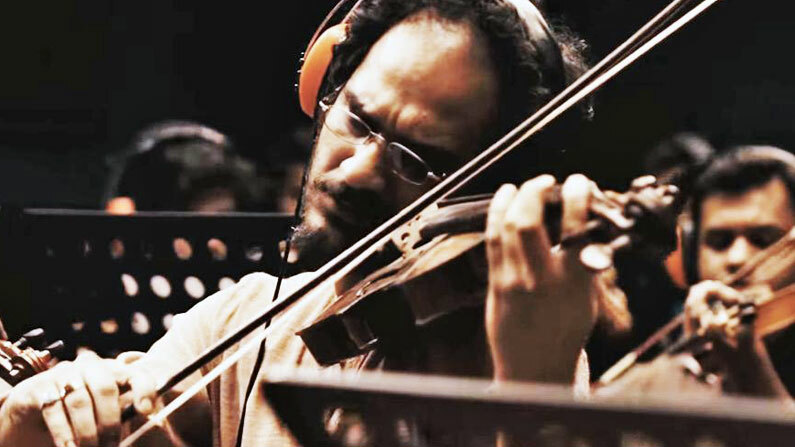 The film opens following a failing violin player’s (Ritwick Chakraborty) ordinary life. His wife is annoyed at him because he won’t help around the house and he’s not getting it right during music training. It’s clear that he’s seen as a failure in both his personal and professional life. But that all changes when he catches the attention of a stranger at the train station, a filmmaker (Adil Hussain) who needs a score to his latest project, offering the player an opportunity he can’t refuse. Agreeing to take the job because he’s desperate for money, the violinist follows his new employer through the back alleys of the city, and onto an unexpected journey to reveal startling truths about music, art, life and survival. Writer-director Bauddhayan Mukherkji’s second feature film lies in its originality and modernity to tell a story through the beauty of music.